The official weigh-ins for “UFC 196: McGregor vs. Diaz” take place today inside MGM Grand Garden Arena in Las Vegas, Nevada. Stream Friday’s weight contest live right here on 5thRound.com starting at 7PM ET/4PM PT. 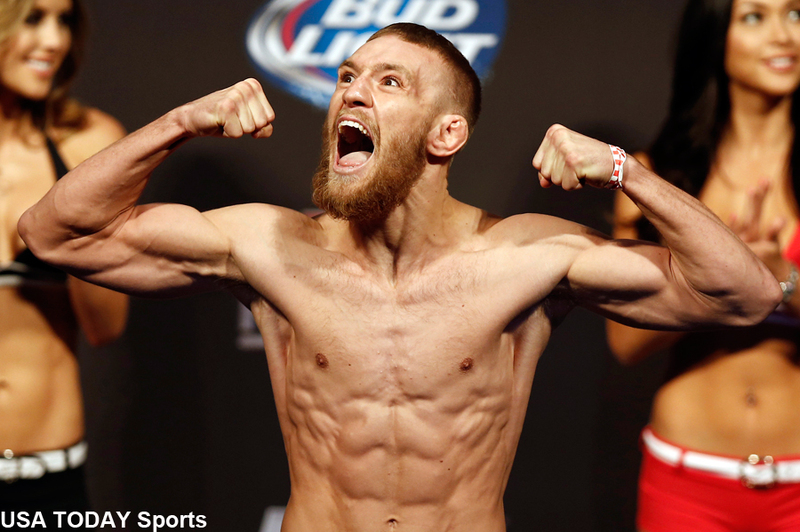 Featherweight champion Conor McGregor (pictured) jumps two weight classes to welterweight to meet Nate Diaz, who accepted the bout on just 11 days’ notice. McGregor was originally slated to challenge lightweight champ Rafael dos Anjos, but the Brazilian broke his foot at the 11th hour. Bantamweight champion Holly Holm breaks in her new title against Miesha Tate in the co-main event.